The Modern Knob is one of the latest additions to our decorative hardware collection. 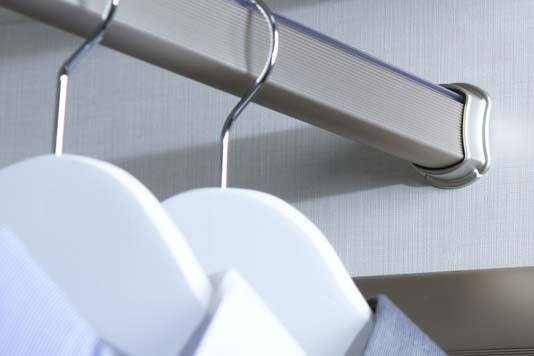 Its sleek design and extended pull also make it to serve as a great low-profile single hook – ideal for hanging jewelry, belts, or baseball caps. 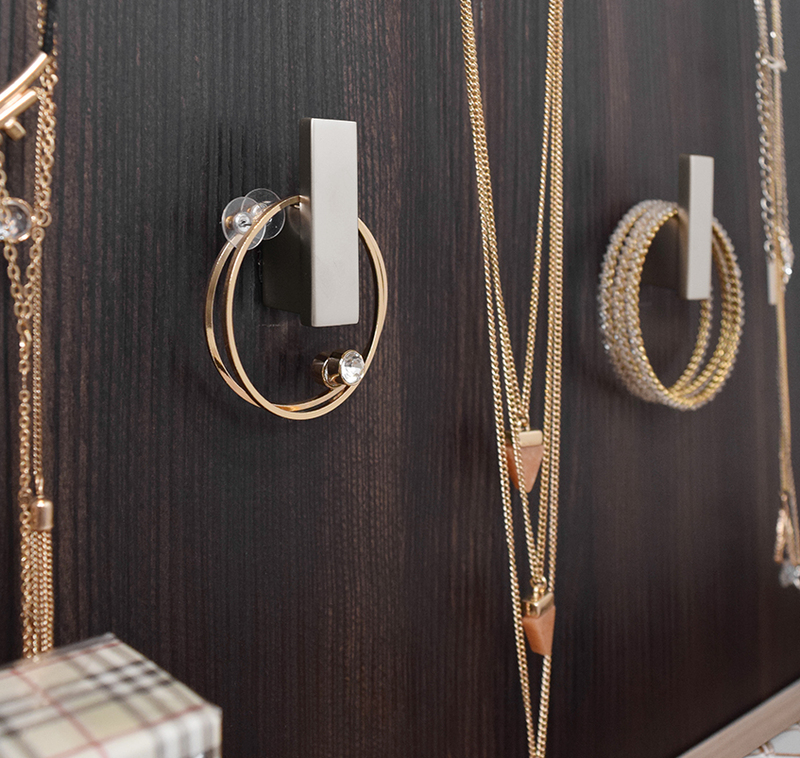 Incorporate these individually or as a group in your closet and vanity areas for extra accessory storage. 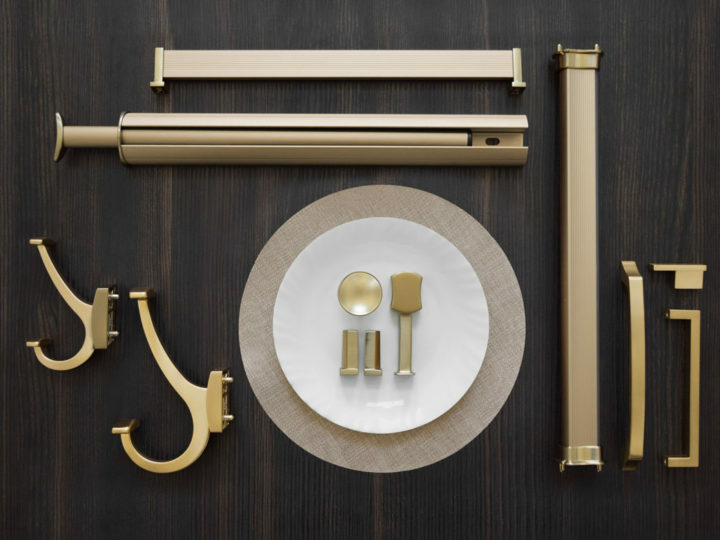 Like all of TAG Hardware’s decorative hardware, the Modern Knob is available in five finishes. This product is probably new to most of you! 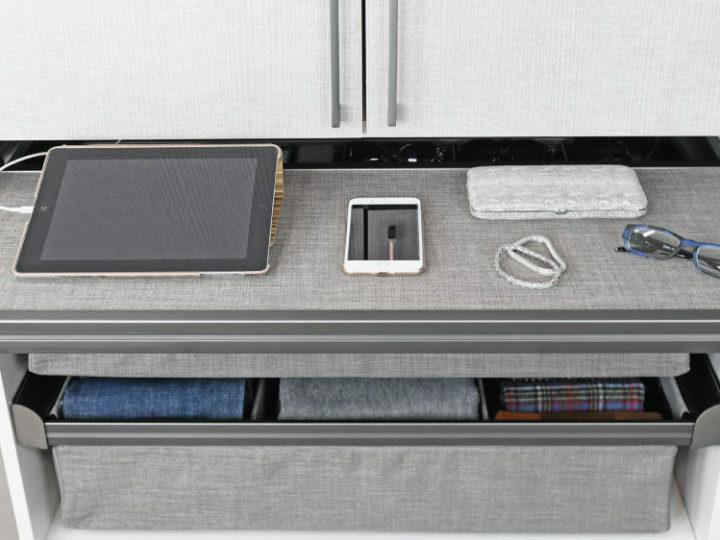 The intended purpose of the ELITE Suspended Support is to allow for the installation of longer ELITE Closet Poles across sectional spans of greater than 36”, but with a little innovative thinking they can also offer additional storage. The diameter of the ring makes it an ideal hook for scarves both large and small (as shown in the images). 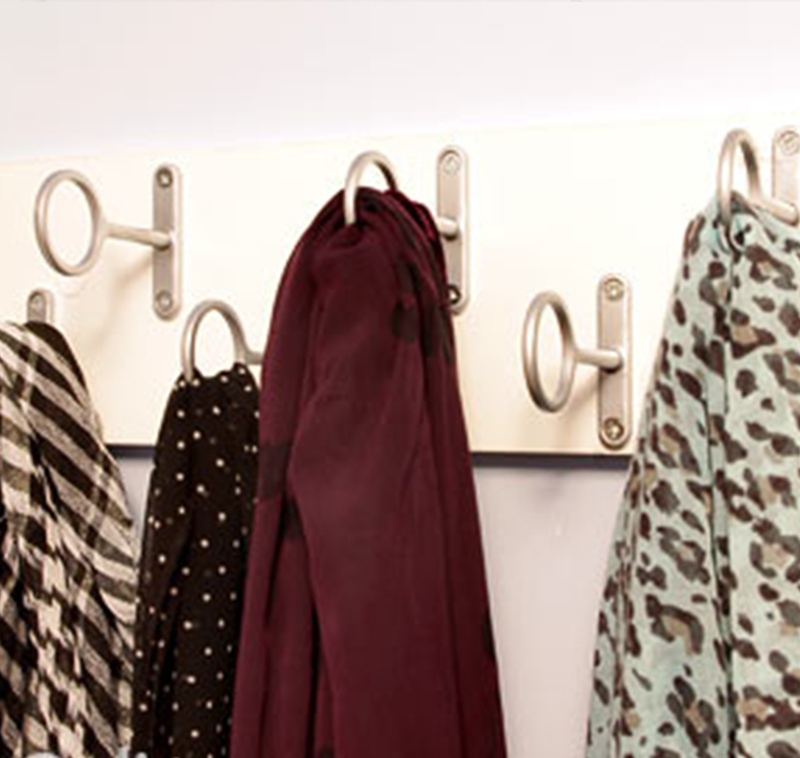 Group ELITE Suspended Supports on a cleat or vertical partition panel to create a designated area to hang and display scarves. Get creative with layouts and placements to create unique designs according to the needs and space. The ELITE Shoe Fence is already a very popular product for displaying shoes. Its sleek and subtle design also make it a great accent piece. 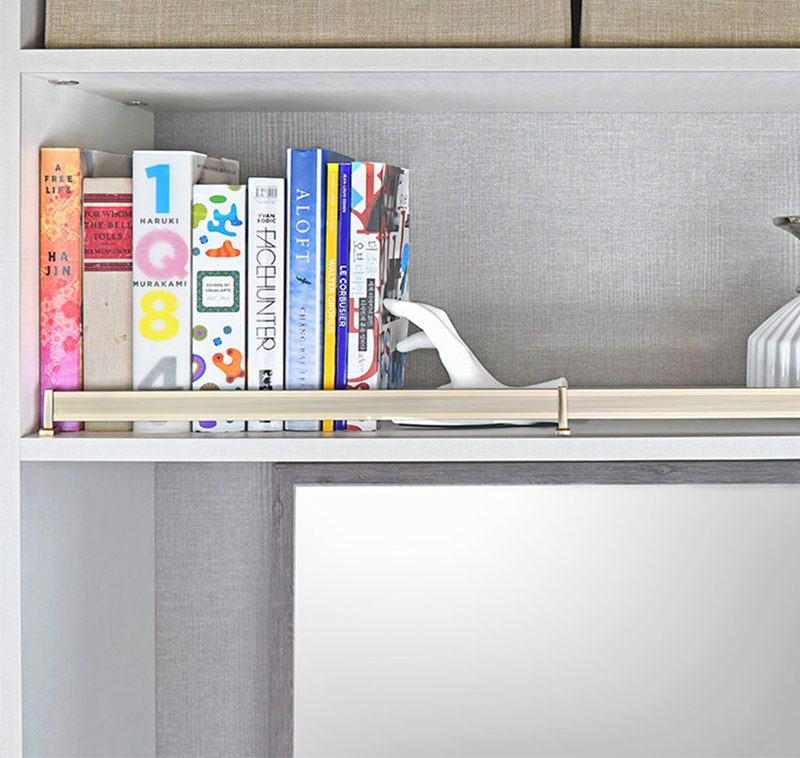 Add it to open shelves in entertainment centers or libraries for a final finishing touch – don’t forget that the new corner posts let you build in 90˚ corners into your designs too. 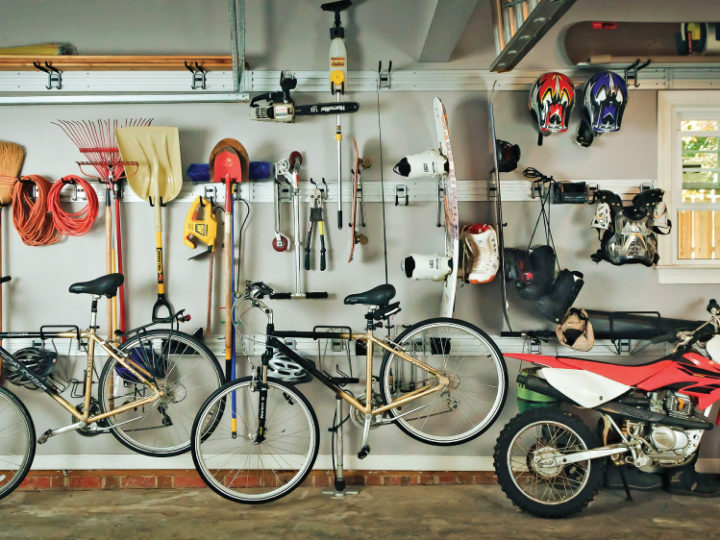 Shoe fences are also ideal for pantries, providing extra security when sliding items along shelves and helping to prevent unnecessary drops and spills! These are just a few extra applications for a brief selection of our products – connect with us on social media and show us how you’ve unleashed your creativity in new ways! The Wait for Slate is Over!